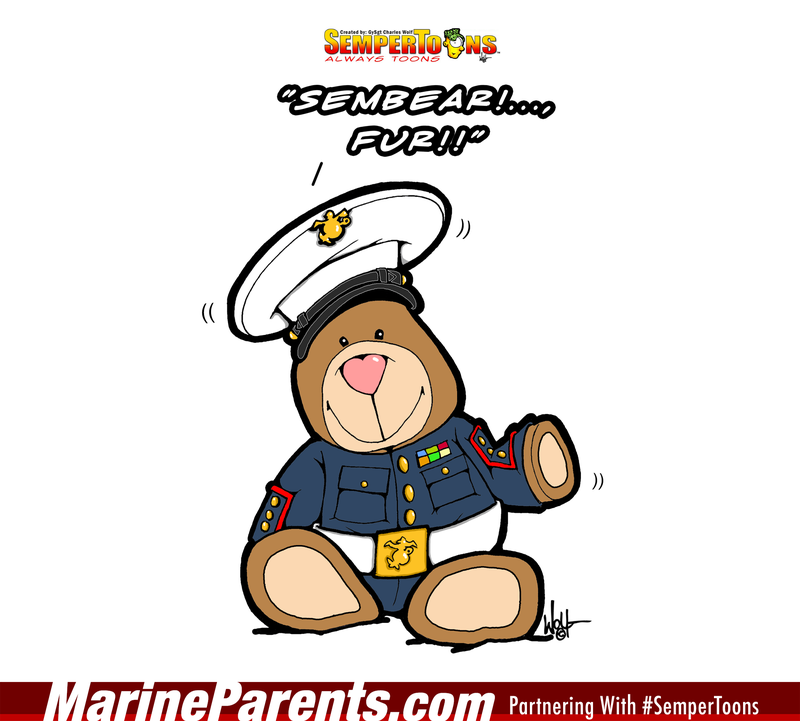 Gunny Wolf from SemperToons has created this cartoon that features a teddy bear stuffed animal in a Marine Corps Dress Blue Uniform. Shop Sembear Fur! SemperToons at the EGA Shop.